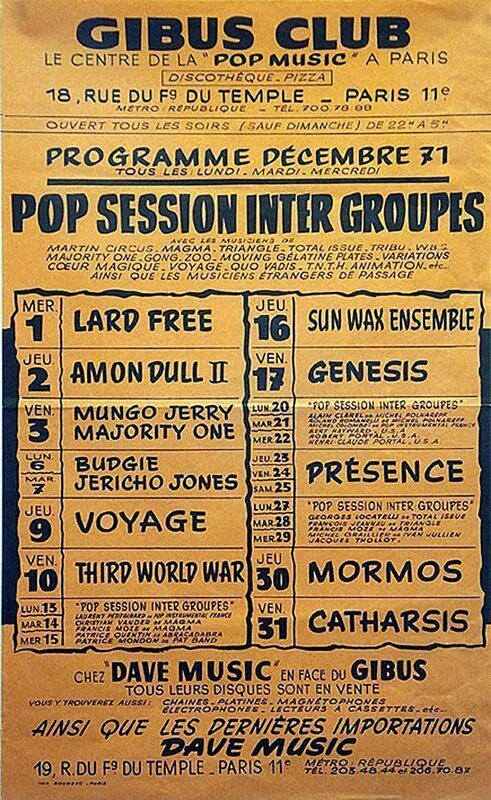 There is something very evocative about old gig ads and posters, from a time before bands became headliners. 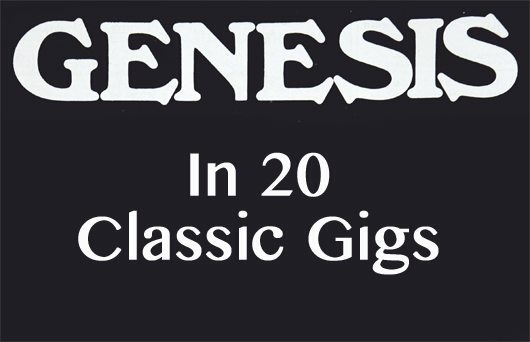 Genesis, just like every band, started out supporting other bands during their early days… some whose names have long been forgotten, while others that have stood the test of time. 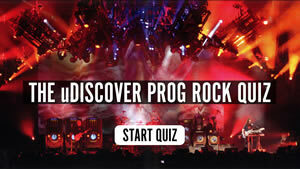 Just three days later Genesis appeared on the BBC’s Night Ride radio show. 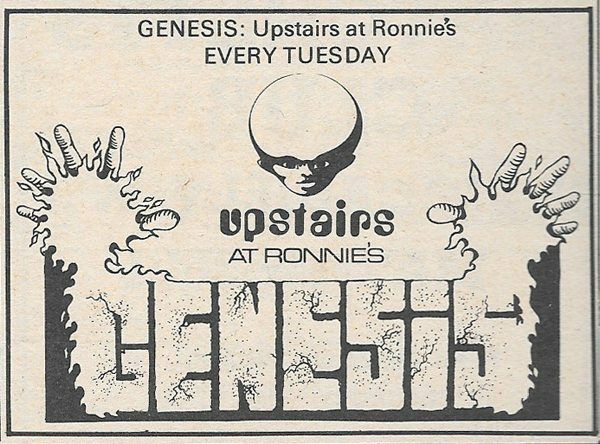 Having played a number of gigs around London in March 1970 the band secured a six week residency, ‘Upstairs at Ronnie’s’ in London’s Soho. This was at Ronnie Scott’s club, more famous for jazz in their downstairs room. 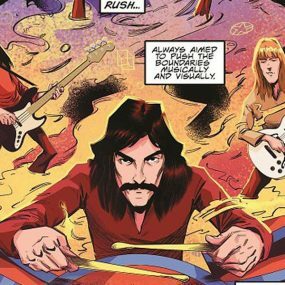 In the midst of recording Trespass at Trident Studios, London, they made the short trip west to Friars, a well established club gig on the Home Counties circuit. 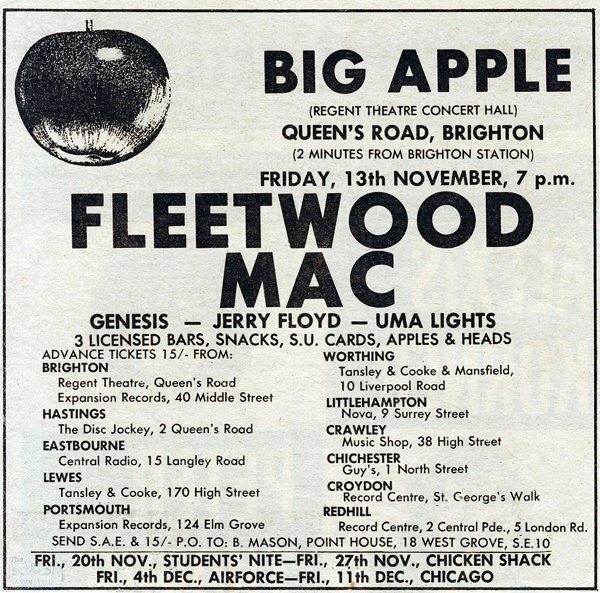 Three weeks after the release of Trespass they were supporting Fleetwood Mac at Brighton’s Big Apple (a ballroom with a suspended floor over a cinema). Continuing to promote the new album, this time in Hitchin, Hertfordshire, to the north of London. 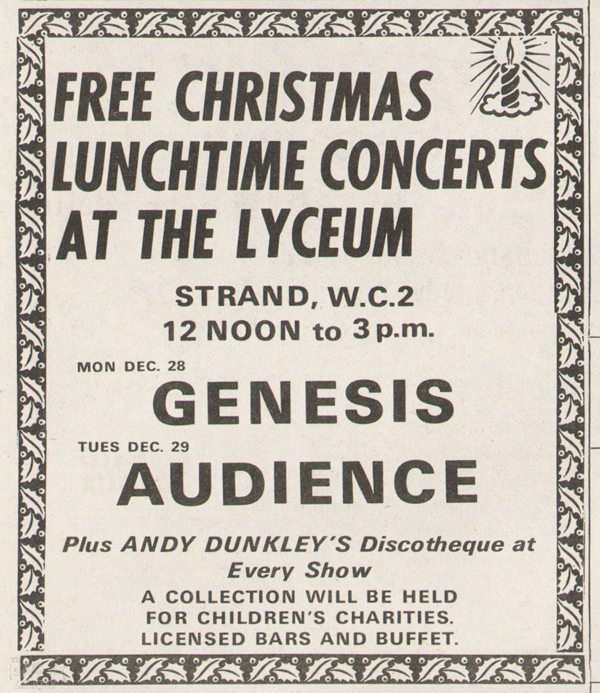 Three days after Christmas the band were giving a free lunchtime concert at London’s Lyceum, on the Strand. 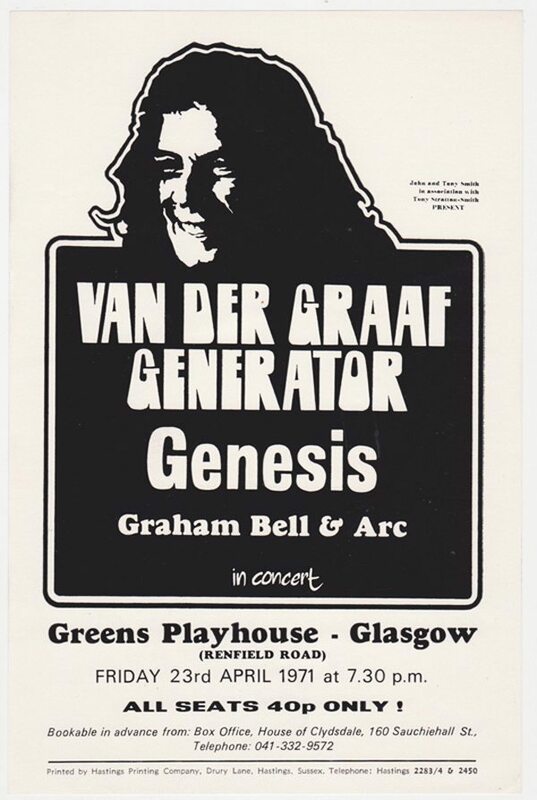 The band’s first Scottish gig was during a tour with Van Der Graaf Generator… all seats 40p! 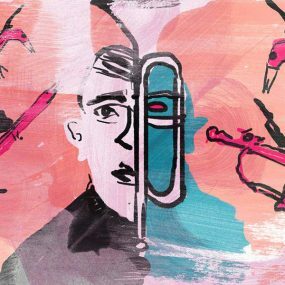 Despite picking up good reviews, Trespass failed to make the charts, but the band was beginning to gain real momentum. 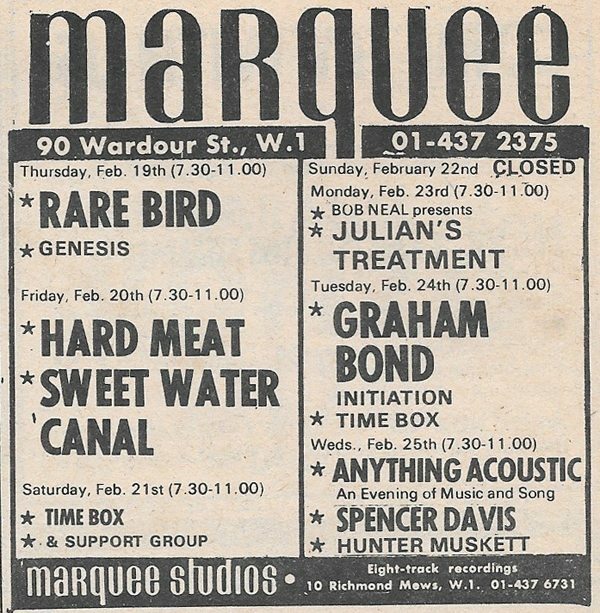 Back at the Marquee in London, but now very much a headline act, supported by their record label. A week after the release of Nursery Cryme, the band were supporting Lindisfarne, whose album Fog On The Tyne was climbing the charts and would become No.1 in March 1072. 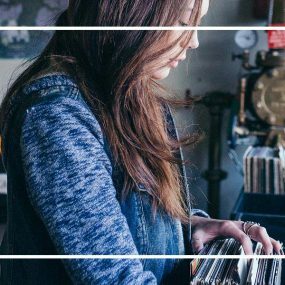 A rare trip across the Channel to play in Paris. Shortly before beginning to record Foxtrot the band were playing in Oxford, with an advert that was a lot more interesting than most that had gone before. 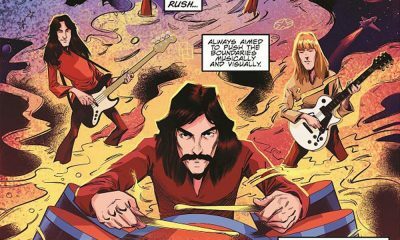 A month after the release of Foxtrot and the band were hard at work promoting the new record. 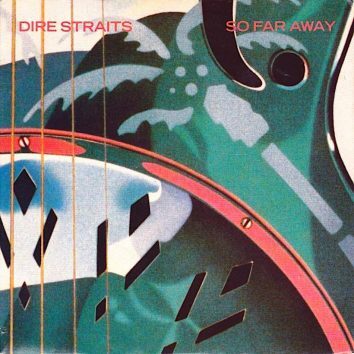 It paid off as, a week earlier, the album had made the UK Top 30. 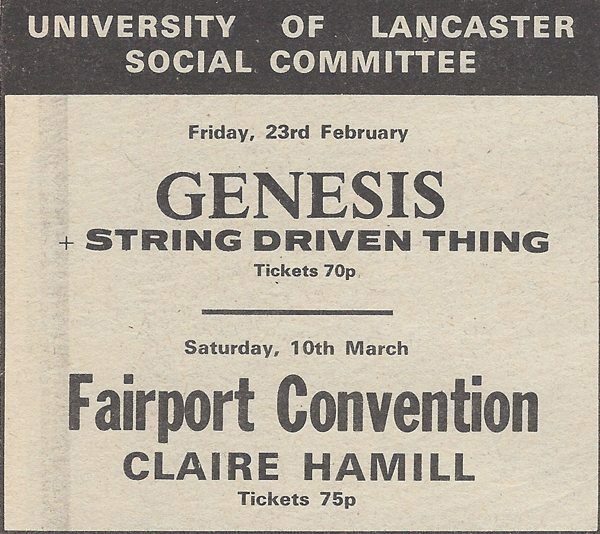 Headlining a festival was now the thing, and this was just a few days after Genesis Live made the UK charts. 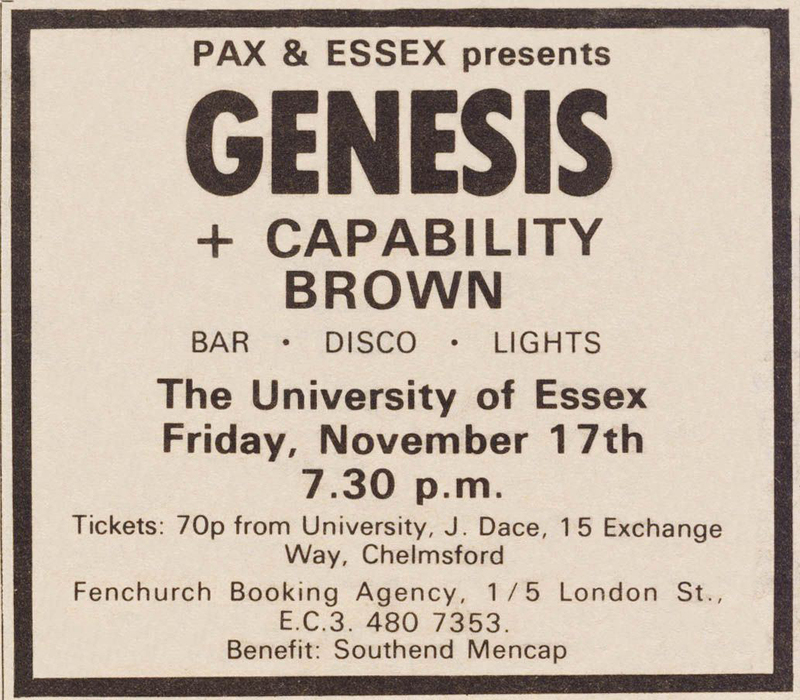 Can you tell me if Genesis played Harlow technical college in the mid 80s. Les, more likely the early 1970s, if they did, by the mid 80s it was stadiums! If you go to our website (click my name) and do a search you’ll find most of the known dates. As far as we are aware they didn’t play Harlow Tech in the 80s although they did do a lot of theatres and smaller venues for the Duke Tour. 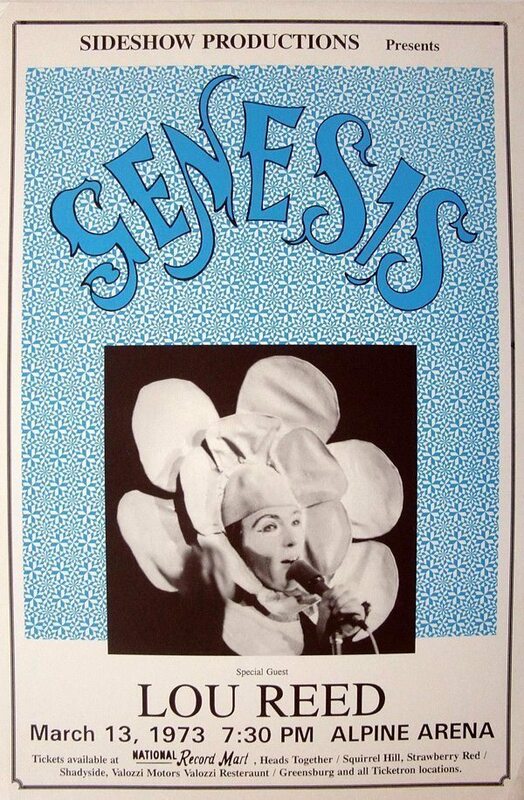 I just want to close my eyes and when I open them, I am listening to Genesis performing Ripples. 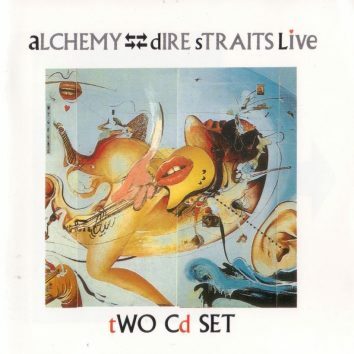 Have had the wonderful opportunity of hearing it live, and I hope it happens, again. 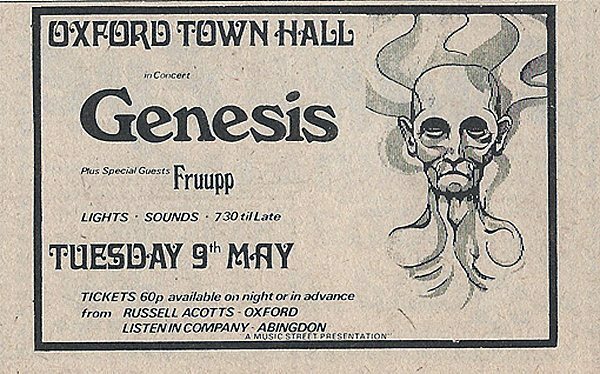 I remember Genesis as 2nd on the bill at Ipswich Civic College in the early 1970s. 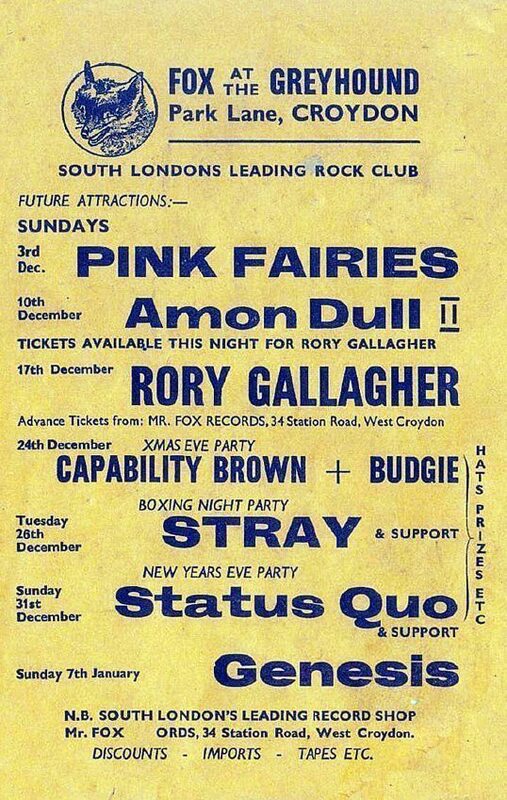 Top of the bill were Incredible String Band and also appearing were Black August. 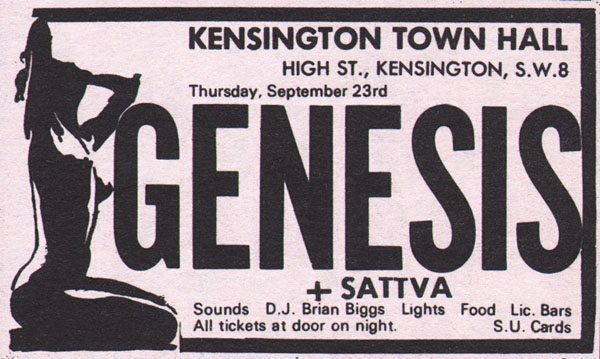 It was the first time I ever saw Genesis, and it was the ‘classic’ line up, and featuring the fox and flower masks I believe. After all these years (and hundreds of concerts and festivals) it still stands out as the finest performance I have ever seen. 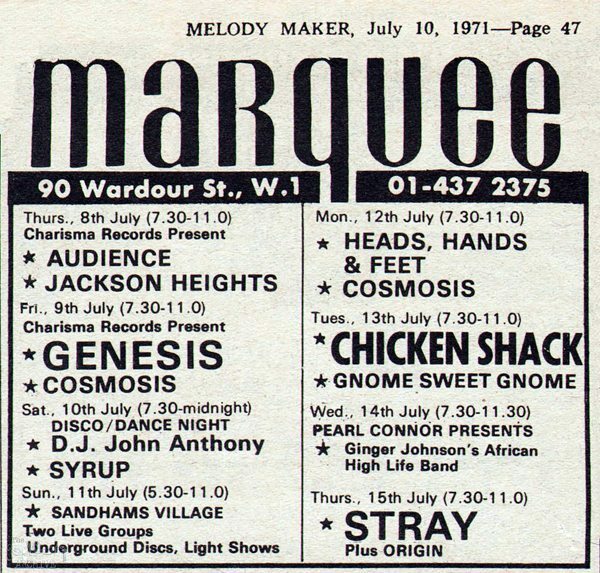 Remember being at the Marquee gig July 1971. Stood on a chair at the back as place was packed . Great days . 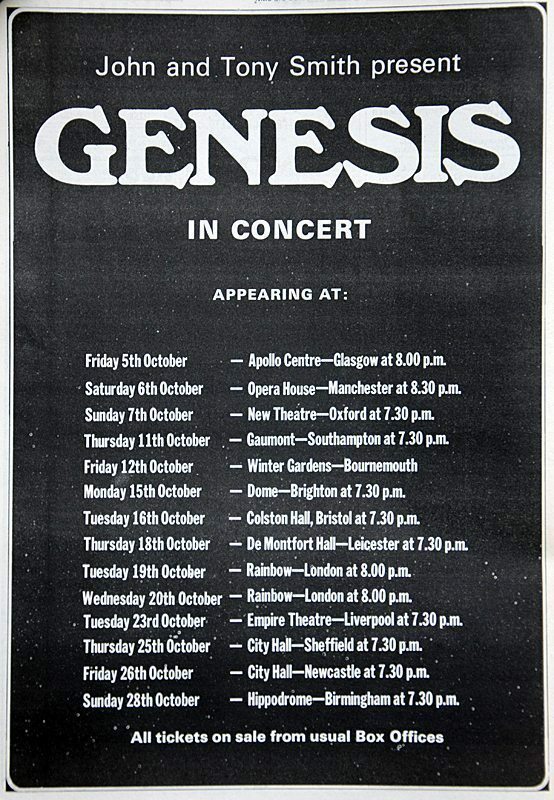 Ok, I have to say that Genesis and Lou Reed on the bill might be one of my all time dream concerts.